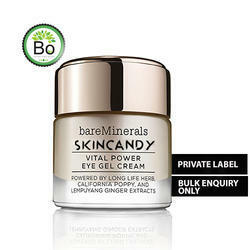 Bring out your inner youth with this impressive Under eye repair cream. Natural oils & extracts combines together to restore radiance and reduce the appearance of fine lines. Its revitalizing effects, deflates puffiness & reduces dark circles. GRACE under eye cream is product of Green Apple Lifesciences Limited a skincare products leader. Natures Essence Eye 2 Eye under eye cream:- Potato based under eye cream that helps in reducing the under eye dark circles associated with ageing, stress and environmental factors. It also moisturizes the skin around the eyes.